Well it is officially April fools day and I have a very shameful thing to admit to…I have never played an April Fools joke! Not a pull my finger, not even a simple “cut off finger” in the matchbox prank, nothing! Does that make me sad? Well I think it does, so maybe I need to step up the mark and pull off a big one. 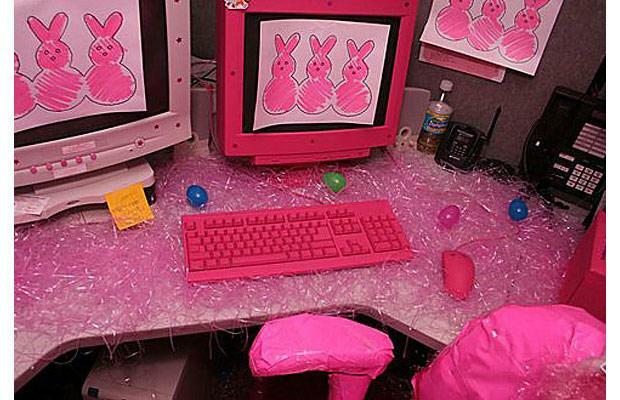 I work in an office now and it seems that the office April fools pranks are some of the best you can do! But I am going to need your help, I need you all to decide which one you think I should do. So sit back, relax, as you have a good hard think about which one of these I should have a go at…. This one might well cost me a bomb to pull off, but it looks amazing! What you are looking at is in fact over 1000 plush rats! 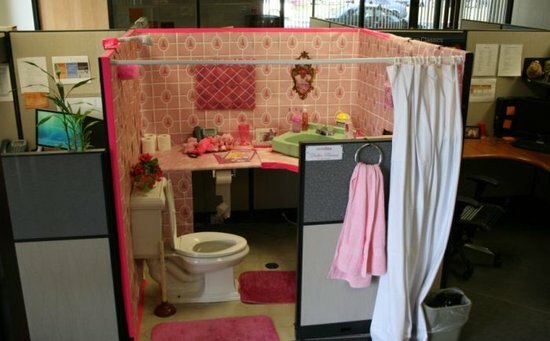 Funny as anything, but maybe a little out of my league seeing as this will be my first office prank, but well worth considering! “Oh ha, ha, very funny” that would be me if someone had done this to me, so I don’t think this is for me, sure it is a good April fools prank to pull off but far to much effort is needed when the end effect just isn’t that funny. Still funny! Although just not funny enough for me. 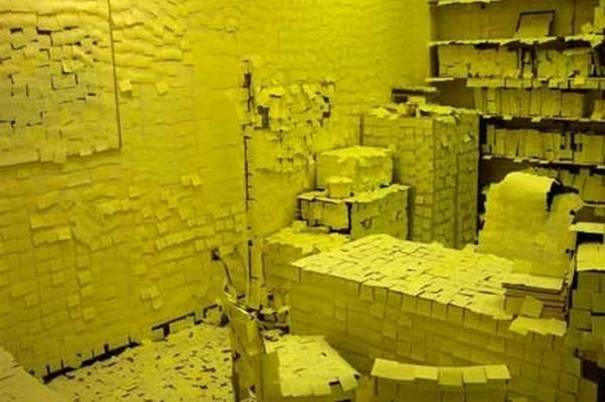 Indeed the classic pranks will always get a laugh, and the good old comedy ”Post-it notes stuck everywhere” is a good one, but also a lot of hard work and a lot of maths! How many boxes of post-it notes do I need, what colour, when?!? Far to much to think about. Now what we have here really is a classic, the old comedy office wrapped in tin foil prank. And to be honest it is not a bad one at all! I might just be able to pull this one off, but I do get the feeling that the noise of the foil being moulded will alert any and all to what I am doing. 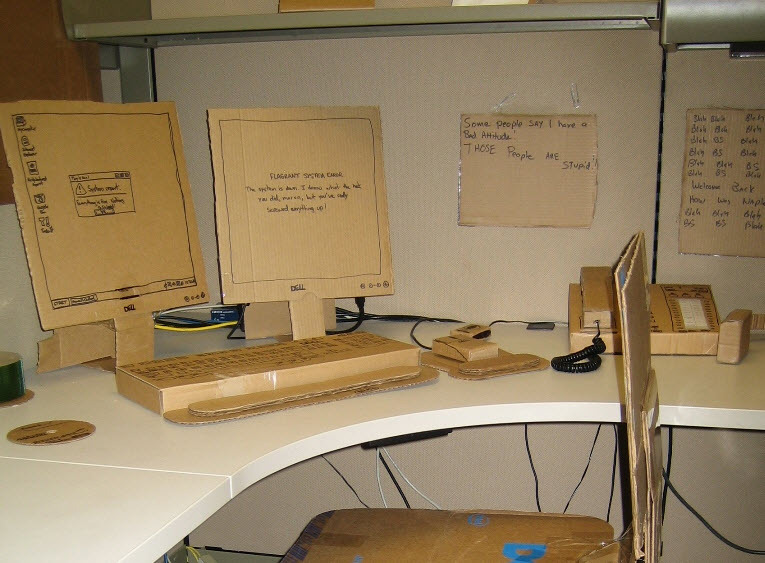 This has got to be one that is really worth considering, simply replacing an office desks items with cardboard cuts outs of them is pure genius! Should this be the prank I try and pull off?!? Not a bad idea at all, and a perfect use of all that left over Christmas wrapping paper I have! The only problem that I can see with this April fools joke is that I can hardly wrap a square box let alone a whole office! Still, it is one to consider doing for sure. This one might just do it! Working in a 90% male environment this would bring a touch of colour to things, and it looks simple enough to pull off! But where am I going to find 2 pink screens and a pink keyboard and mouse?!? This prank is not looking so easy now. These days of the internet the word “troll” is often seen as a nasty prankster so why not pull of a nasty office prank “Trolling” by filling it with those funny haired troll dolls! This is a great idea, if only I had kept my troll toys instead of throwing them away. Don’t get the headline to this one? Well “ages” is “sega” backwards! 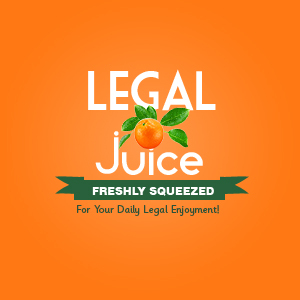 They used it as a advert in the 90′s. (yes I am that old!!!) Anyway I have come across this rather amazing April fools office prank where fellow SEGA employees turn their co-workers desk into an entire Sonic the Hedgehog landscape! And the best bit of this one is that the (source) link goes to a video of them doing it!!! Sounds like a win to me if a lot of hard work. So what do you think? Which one should I try and do?! ?